Loki wasn’t that far off when he assumed that Thor must be desperate if he’s asking for help. In The Dark World, Thor is facing his biggest challenge to date. We learn from Odin that before there was life, there was not nothing but an immense evil, which has survived and is now trying to send the Nine Worlds’ into a time of destruction, despair, and utter chaos. 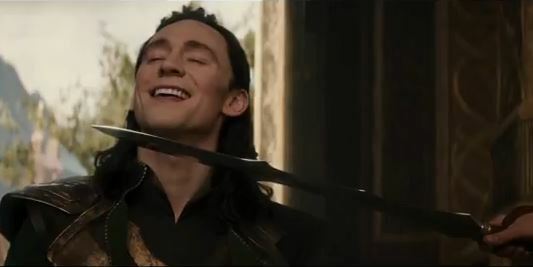 And of course, Loki is the only one who truly understands just how bad the situation is for everyone. Thor, Loki, Jane, and friends must face Malekith the Accursed, the leader of the race of dark elves, and his destructive army, which includes rock giants and giant black ships nicknamed “the Fist of Malekith.” The battles, which take place on Earth and in Asgard, look epic and the effects look fantastic. 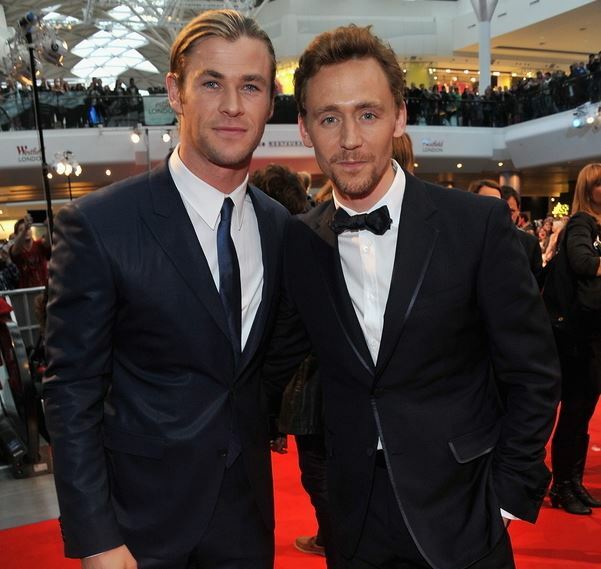 Not to mention the fact that the Gods of Thunder and Mischief look OH SO GOOD together. 3. Jane journeys to Asgard, and is smokin’ hot in the process. Jane Foster is in England when the Fist of Malekith hits and causes destruction so Thor races to Earth to rescue his ladylove. He teleports her back to Asgard, where she looks absolutely beautiful, AND she bitchslaps Loki in retribution for “what happened in New York” (better known as The Avengers movie events). Thatta girl, Jane! Jane remains in Asgard, putting her right in the middle of all the danger. But Thor promises her that he will find a way to keep her (and everyone else) safe. Let’s hope he keeps that promise. 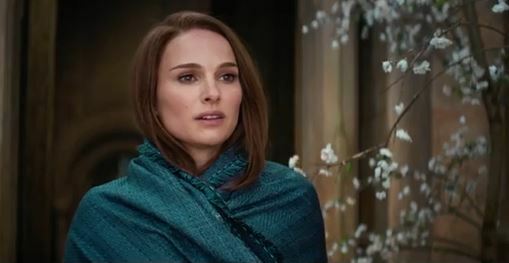 I love seeing Natalie Portman in these films and I want her to be a part of The Avengers 2, especially since Tom Hiddleston just confirmed that Loki is out. 4. The cast and crew features some new faces. Not only is the film featuring a new director (Alan Taylor, Game of Thrones), new writers (Christopher Yost, comic writer & Stephen McFeely, Chronicles of Narnia), but the cast also features some new faces. In addition to Chris Hemsworth, Natalie Portman, Tom Hiddleston, Anthony Hopkins, Ray Stevenson, and Kat Dennings, new cast members include Christopher Eccleston as Malekith, Adewale Akinnuoye-Agbaje (LOST alum!) as Algrim/Kurse, and Clive Russell (GOT alum!) as Tyr. I welcome the changes in the writing and directing teams with open arms. I enjoyed Thor but didn’t love it. I found it to be a little drawn out and confusing to follow (at times). And, with scenes going back and forth from Earth and Asgard, it felt as if there were two stories separately unfolding and the whole thing didn’t mesh well. I am hoping that Alan Taylor will bring some of the magic he’s created on Game of Thrones, which has thirty different main characters and almost as many settings to match. I also think the new writers, especially Yost who authored The Avengers comic-book series, will help keep the movie grounded in it’s Marvel roots, and ultimately help blend the many different Avenger heroes storylines’ together with more finesse. After all, he is the master-mind behind it all! 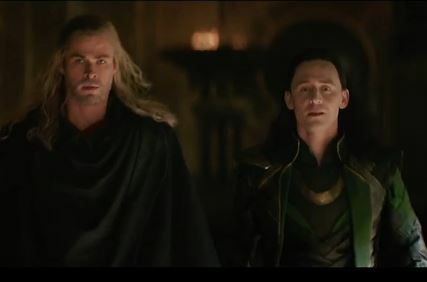 Thor 2: The Dark World hits theaters on November 8, 2013. That gives you plenty of time to catch up on Thor, The Avengers, and every other Marvel movie that is currently available on Netflix or OnDemand. 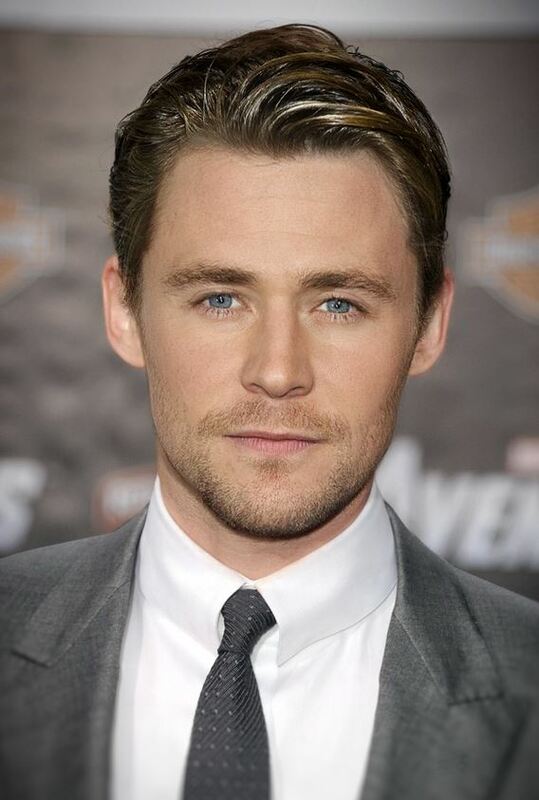 Categories: Celebrities, Movies | Tags: Alan Taylor, Chris Hemsworth, Christopher Yost, Comic Books, comics, Jane Foster, Loki, Marvel, movies, Natalie Portman, new trailer, Stephen McFeely, superhero, The Avengers, Thor, Thor 2, Thor 2: The Dark World, Tom Hiddleston, trailers | Permalink.